Have your drink with an assassin! 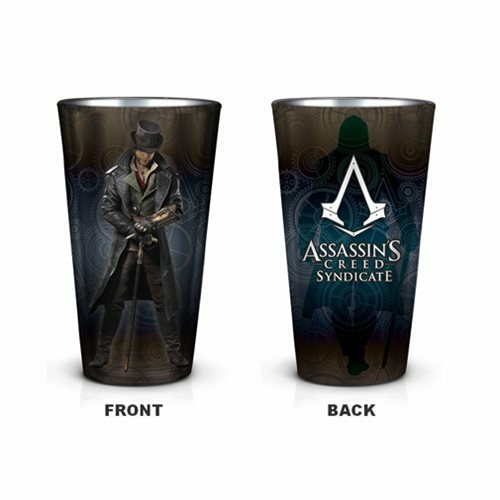 This 16 ounce pint glass features the main character, Jacob, from the hit game Assassin's Creed: Syndicate. Drink up with this Assassin's Creed Syndicate Jacob Pint Glass.